One of the things everyone must know is that in order to get quality sleep, you’re going to need to invest in excellent mattresses and accessories for your bed! After all, this will be the area you’ll be sleeping in and what will have you wake up on the right side of the bed! 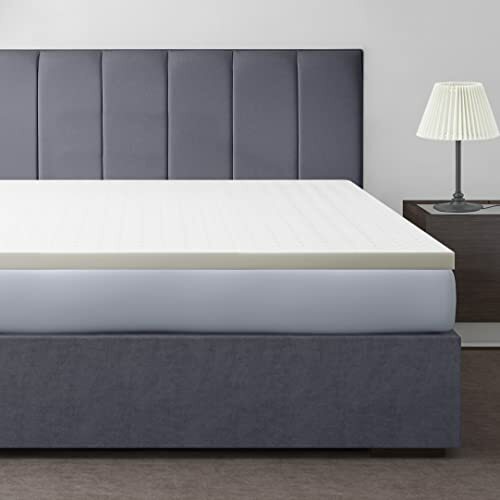 And if you want to ensure that you have a soft and supportive area to sleep on, then I suggest that you get the best memory foam mattress topper, which has been proven to help with your sleep and pain. Wondering what memory toppers are and what you should invest in? Read on! Memory foam is a contemporary material used for beds as it supports the body without paining your pressure points. It conforms to the shape of a body for optimum spinal alignment but still focusing on comfort as well. So for those who have a firm bed that is too hard to sleep on comfortably, memory foam can help soften it with its quality layer. Some people complain that memory foam is too hot, but that’s not the case! Manufacturers have now created mattress toppers in innovative technology that do not have it rely on heat, trapping it when lying down. That way, you’ll feel fresh and you won’t wake up sweaty or feeling hot. What’s great about memory foam is that manufacturers continue to improve this type of material with better technology. As a result, there are fewer chemicals released and is a safer choice for the bedroom and the environment. And because it is hypoallergenic, those who suffer from allergies can rejoice. It collects fewer dust mites and provides relief from allergies. Memory foam mattresses are known to have many health benefits, and this accessory is no exception! When you sleep on memory foam, you will have reduced joint pain and swelling, as well as relief from the pressure on various parts of your body. It also gives better blood circulation and the full body support for a well-aligned spine. You won’t wake up painful anymore! I’m sure some of you have already considered replacing your hard mattress for something else, but it’s actually cheaper to purchase memory foam toppers, which cuts costs while providing the soft space you need. Plus, they are strong and meant to last for a long time! 1. Cooling – These mattress toppers have a cooling material, which helps regulate one’s body temperature to make it great for sleeping. This is best for those living in hot weather or who have night sweats. BUT, they can be quite expensive! 2. Feather – Feather-filled mattress toppers feel soft and comfortable with an even temperature regulation. But with that being said, they are less supportive than the memory foam and tend to flatten over time. 3. 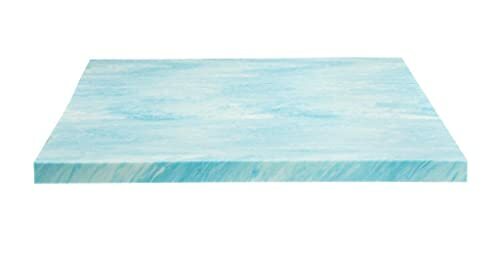 Waterproof – These mattress toppers would be best for children, pet owners, or the elderly. This is because a waterproof mattress topper is inexpensive and easy to clean because of its water-resistant abilities. They also provide protection from allergies. But they tend to be warmer. 4. Egg Crate – Egg crates are convenient and add comfort. But what they are best known for is for its convenience, as it’s easy to store and carry while providing comfort. They are best for camping trips but don’t last long. 5. Heated – A heated mattress topper is a bit more expensive, but they are best for people who want to save up on energy in the house. It’s also a bit difficult to clean safely. 6. 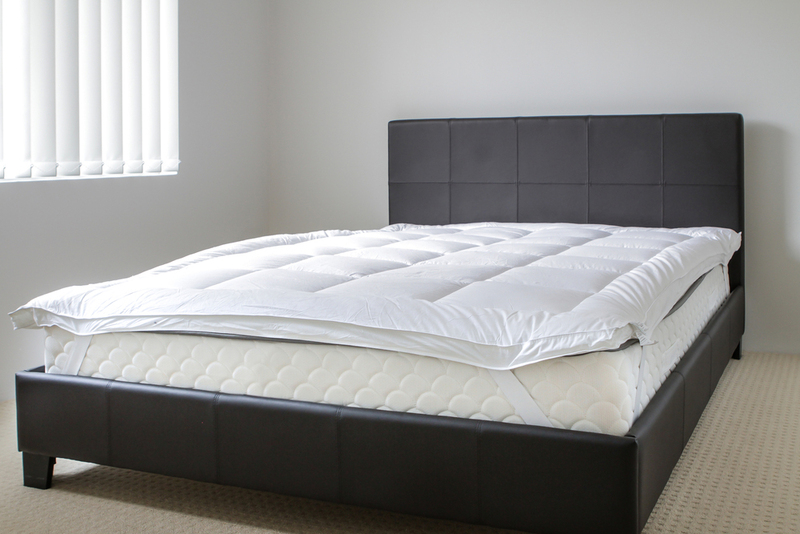 Memory Foam – This mattress topper is becoming popular as it adds more comfort and support for better quality of sleep. They are supportive and built to last, reducing pain and increasing your comfort. 7. Cotton – Cotton is one of the most common types of materials used for mattress toppers, suitable for use about anyone. It provides adequate comfort and is easy to clean, though it may wear out quickly. 8. Wool – Wool is similar to cotton, though a bit more expensive and with its benefits. It’s durable and comfortable while regulating one’s body temperature as you sleep, keeping you in dreamland longer and without discomfort. BUT, there is less cushioning! 1. 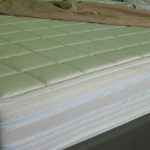 Size – You will have to check out your mattress to know what size of the mattress toppers you’ll need, may it be king, queen, or twin size. Take note that you will need to check the condition of your at tress as well. If it is too lumpy or saggy, then a topper won’t help. It’s time to replace it with a new mattress! 2. Density – The density is the weight per one cubic foot of your memory foam. The higher the density, the better it would conform to your weight, which provides better support and responds to one’s body temperature better. They are also more durable. Mattress toppers with a density of about three pounds is perfect, though there are people who may need one with a density of four pounds or more, especially if they have body and joint pain. Two inches is best for its medium pressure and average comfort. It’s great for small builds and is the cheapest option. The three-inch mattress topper is the usual size many people purchase, with excellent comfort and great pressure. While it isn’t as comfortable as using a new mattress, it’s cost-effective and an excellent choice. Four inches is best for overweight people or those above 200 pounds. It provides extra support and is also great for people who sleep on the ground. Remove it from the package and remove all the beddings from your mattress. Place your mattress topper on the mattress and unroll it. Slide the topper and adjust its position so it will be covering the whole top surface of your mattress. Once it has fitted perfectly, place any sheet or cover over the topper and mattress to secure, then place the beddings back. And you’re now ready to rest! Take note that there may be a smell that will last for only two to three days! When cleaning and maintaining mattress toppers, make sure that you use a mattress protector to make it easier to wash it. Pull back its covers each day to let the bed air out so the fibers are breathing and moisture evaporates. Follow the care instructions on your mattress topper, as there are specific washing temperatures or usage of bleach and a washing machine. You may want to use laundering services to make it easier. I recommend that you wash these toppers every six months to one year. What I appreciate about the DreamFoam Bedding is its wonderful design! I love its blue gel swirls that make my room look so much brighter. This mattress topper is two inches, which is perfect for the small built and for average comfort. But I experienced more than that and it felt great! I could sleep comfortably and woke up feeling no pain. It’s soft enough and provided great comfort, conforming to my body shape in no time. It truly made a huge improvement in my lumpy bed, and at such an affordable price, too! The topper wasn’t too hot, surprisingly, so sleeping was literally a breeze. Almost as if we got a new mattress! All in all, I would say that this is definitely worth the price and I believe that it will last for a long time. I would recommend it to just about anyone! 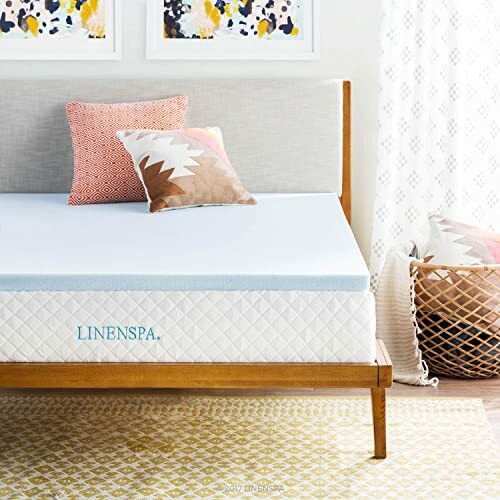 What I appreciate about Linenspa isn’t just its quality mattress topper, but the fact that it coms at such an affordable price! I was surprised with how much it costs, as it’s more affordable than other mattress toppers I have tried. While I was hesitant, I decided to give it a go. And I’m glad I did! It is a two-inch mattress topper that’s got a lovely plush material, providing good comfort. It also has a gel material, which regulates temperature, so I experienced no overheating whatsoever. I felt fresh and cool when waking up, and it was so much easier to sleep thanks to the added softness! The topper distributes weight well and would conform to my body, so there was no pain. I had no complaints whatsoever. Though it’s not the softest I’ve felt, it’s worth more than its cost, making it a must-buy for those on a budget. I am in love with the simple and functional design that the Best Price Mattress Mattress Topper has! Though it’s only two inches, it adds a lot of comfort and support without the worry of overheating. It’s well-ventilated and I wake up feeling refreshed and without any sweats. Sure, it isn’t as comfortable as a real mattress. But with that being said, it still provides the deep softness at such an affordable price! It’s cheaper than most mattress toppers out there and is perfect for almost any type of mattress. It has me sleep better, plus it’s durable lasting for more than a year without any signs of wear. I’m assured that it’s made of quality materials without the expensive price tag. All in all, I would recommend this for those on a budget and need mattress toppers for better comfort. Another great option for people willing to splurge more for mattress toppers would be from Zinus. Their mattress topper may be more expensive than others I have researched on, but for a good reason! It’s made out of natural materials and ingredients to ensure a safe and environment-friendly investment. It has green tea extract and castor natural seed oil, which naturally eliminated the odor-causing bacteria. It also has the cool gel memory foam for less heating and better regulation of body temperature. As for the memory foam itself, you truly get what you pay for. It is high-quality memory foam which provides excellent comfort and support. You can choose between various sizes and thicknesses to know which one is best for you. When you have the budget to spend a bit more on quality without worry of any issues, then this one is for you. 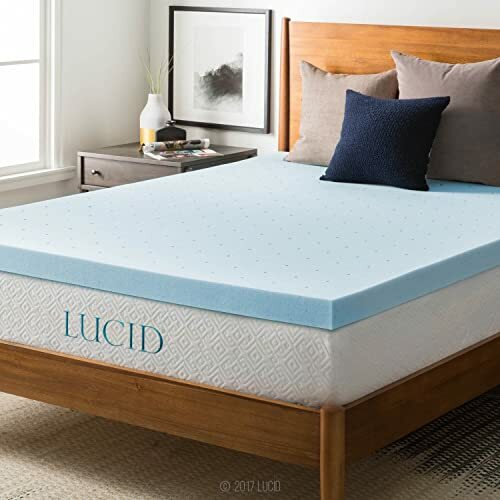 If you want something with the effect softness, then the three inches from the Lucid Mattress Topper will work wonders! Just like many of the memory foam toppers today, it has a gel-infused material that makes it easy to sleep in without the worry of body temperature making it too hot. It’s airy and fresh when I get in and once I wake up! The material itself is extremely soft but also supportive, so I wake up with no pain whatsoever. 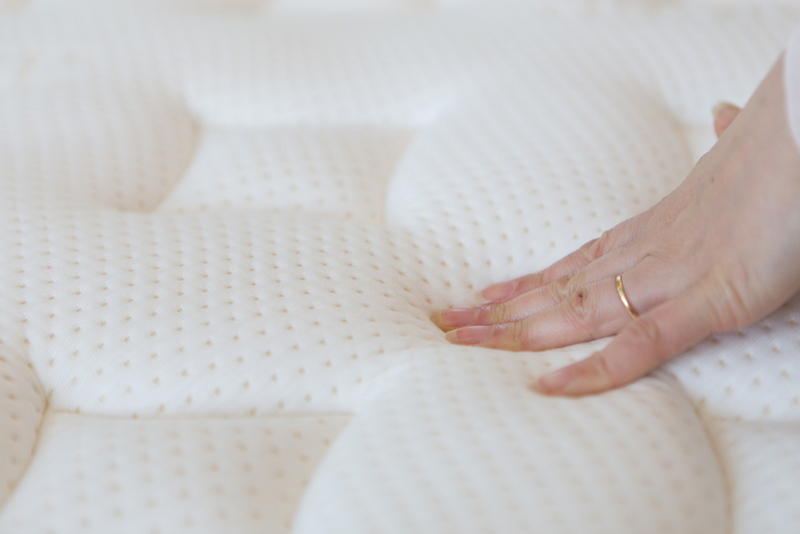 The foam is perfect, as it adds more softness to my lumpy mattress and relieves my pressure points as well. And with its ventilated design, I have no issues during the hot weather or with night sweats anymore. Definitely worth its price! 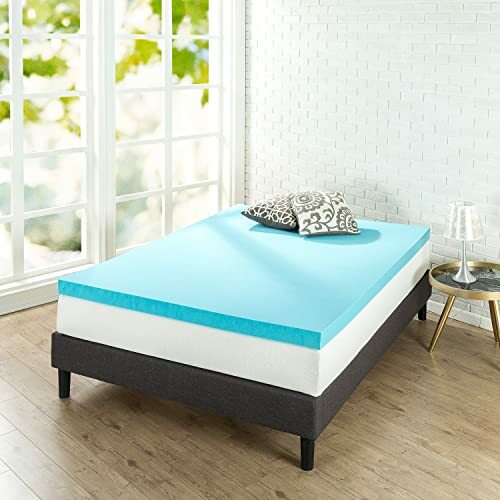 Now if you truly have an extra budget for a met tress topper and you’re willing to splurge, you’ll want to check out the Best Price Mattress four-inch mattress topper. It has the ultimate comfort with its material conforming to your body. When I sunk down, I felt like I was in heaven! It was extremely soft, but when i drifted off to sleep, I didn’t experience any pain, nor did I have a difficult time getting out of bed (well, I wanted to stay and sleep some more, though!). It has a suspension that quickly reacts when you move, so it won’t disrupt your sleep. It also has a cover and the choice of sizes, so you can choose which is best for you. For its extremely high-quality and soft memory foam, I can say it’s worth the investment. 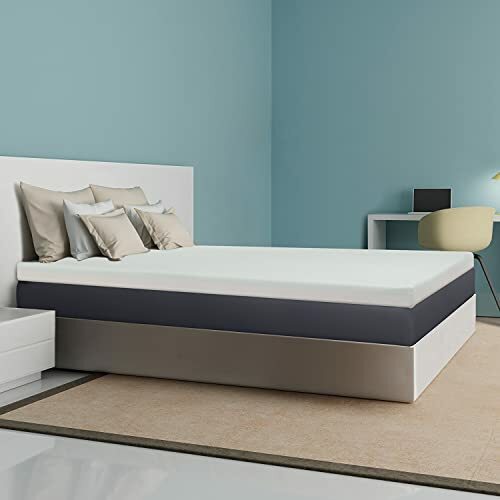 If you want to ensure a comfortable sleep without the worry of waking up sore in the morning, then the best memory foam mattress topper will help you out. Not only will you be able to have the soft space to sleep on while protecting your mattress, you’ll also have one that conforms to your body, lessening the pain and quickening the time it takes for you to sleep! Out of all the memory foam toppers tried and tested, the best one would have to go to the DreamFoam Bedding DF20GT2050 Mattress Topper. You can find these toppers in various sizes and at an amazing blue color that goes excellent in all designs. It also has the soft visco-elastic that adds more comfort than the usual toppers, ensuring quality sleep immediately! And with its US-certification, meeting the highest standard, you are ensured that this topper will last for a long time. I hope that this article on the best memory foam toppers helped you! 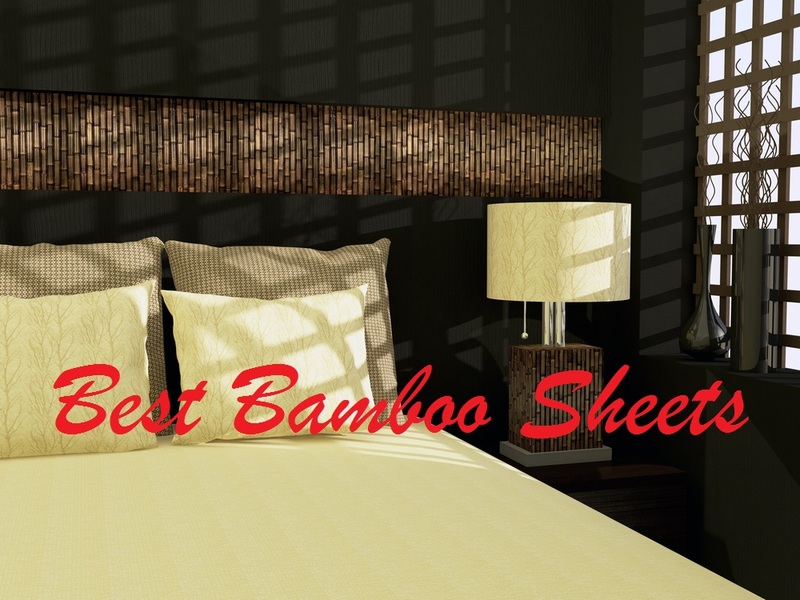 So don’t wait any longer and start making the wise investment for your bedroom today! For those who have any questions or would like to share your tips and experiences on using mattress toppers, then comment down below, I would love to hear what you have to think!